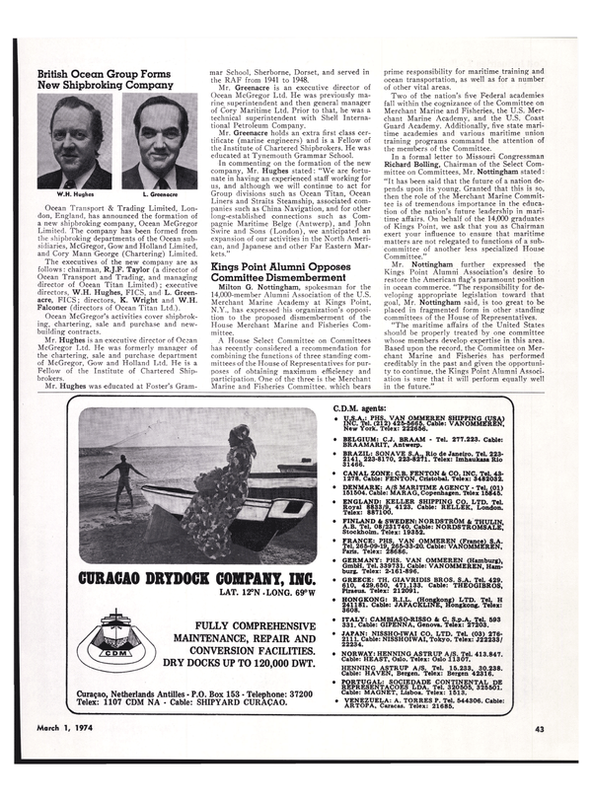 Charles S. Devoy, president of the American Association of Port Authorities (AAPA), recently announced the appointment of John F. Finnegan Jr., manager of marine operations for the Niagra Frontier Transportation Authority (NFTA), to membership on Committee IVConstruction and Maintenance, for 1974. Management personnel serve on various AAPA committees which decide policy and planning valuable to member ports. Committee IV, one of the most prestigious committees of AAPA, has the responsibility of preparing a handbook covering construction, maintenance and general operational procedures of a port. Since its inception seven years ago, the Niagra Frontier Transportation Authority has been administering the Port of Buffalo (which includes the Buffalo Port Terminal and Seaway Piers) located on Fuhrmann Boulevard. During this time, the property has been renovated, improved and developed into a first-rate facility. A fair share of the credit for this effort should be given to Mr. Finnegan. Finnegan has brought a wealth of waterfront knowledge to the operational aspects of the Port of Buffalo.